Activity 99 is something you should read. 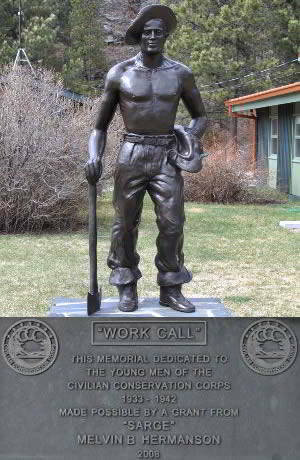 The CCC Museum of South Dakota, located in Hill City, SD in the heart of the Black Hills. 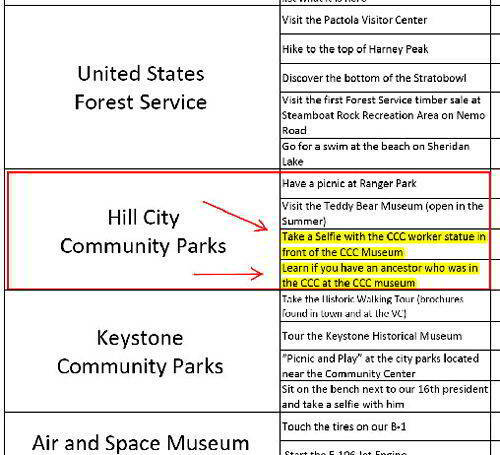 "Activity 99" is a list of 2 - 4 activities, places, events or fun things to do or items to find in several locations around the Black Hills, a scavenger hunt within our local parks, communities, museums, and visitor centers. How can you participate? Print the check list at home or keep it on your mobile device. Complete a listed activity or find the unique or obscure thing on the list. An employee signature at the site or taking a picture provides proof and the activity is completed. The "activity" ends on December 31, 2016 at midnight. Find out more at Mount Rushmore National Memorial. Start your journey by printing or downloading the activity sheet. Please present your activity list to Park Ranger Blaine Kortemeyer at Mount Rushmore National Memorial by January 13, 2017. 99 activities, places, events or fun things to do or items to find in several locations around the Black Hills.